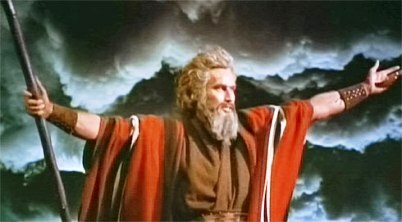 From Moses to a planet of apes to President of the National Rifle Association, Charlton Heston could do it all. That life came to an end this past Saturday night in Beverly Hills. Charlton Heston was 84 years old. No official cause of death has been named, but in 2002 Heston revealed that he was experiencing Alzheimer’s systems. Some of the most classic Charlton Heston movies include…. For more Charlton Heston movies, click HERE. previous post: Remy Ma. Jailed And Getting Hitched. next post: Is This A Jellyfish Bad Day? Well, all the “Cold, dead hands” jokes have already been made, so I’ll just let that one pass. However, I will say that I think it’s a shame that he never had his home shot full of holes by an upstanding, if overly emotional, NRA member like my parents did. That’s the sort of incident that makes you think twice about their membership…. 51 queries in 0.743 seconds.